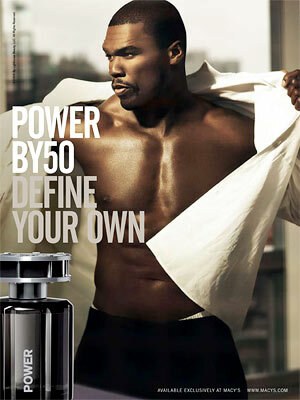 50 Cent’s fragrance “Power” will hit stores on November 5th exclusively at Macy’s. 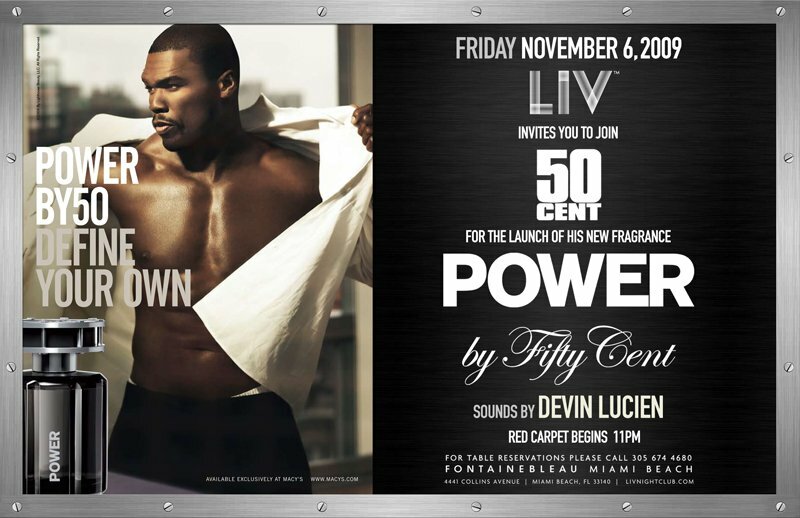 50 is inviting all of you to celebrate the launch of the new fragrance on November 6 at LIV nightclub on Miami Beach. The Fragrance is a mix of notes from lemon leaves, black pepper, coriander and nutmeg. 50 Cent said about Power: “For me, power isn’t just something you learn on the street or in the boardroom — it’s a way of life. I really wanted to bottle up the rush it gives you so my fans can make it a part of their lifestyle.” Princes range from $50.50 for a 1.7 oz. eau de toilette to $68.50 for a two-piece gift set of eau de toilette and after shave.